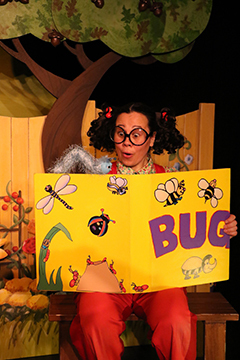 Faye Dupras is an award winning master puppeteer. Trained as a theater artist and visual artist, puppetry is the medium that allows her to scratch at her creative curiosity, stretch her artistic wings, and explore questions about our collective humanity. "The Pianos of Anton Walter in Vienna"
The renowned faculty of the AFP present a rich and diverse program of music played on historical pianos from the Catskill Mountain Foundation Piano Performance Museum. The sound world of Mozart, Beethoven and others are brought to life as music is performed on the instruments of their time. Featuring faculty members Audrey Axinn, Maria Rose, Yiheng Yang (fortepiano) and Cynthia Roberts (violin). Special guest fortepianists are First and Second Place Prizewinners of the Sfzp International Fortepiano Competition, David Belkovski and Gabriel Merrill-Steskal. 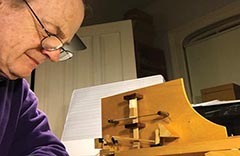 Mr. Hester, master fortepiano builder, with life-long experience building, restoring, and repairing historical pianos, will explain the mechanics of 18th-century Viennese fortepianos in an interactive setting. 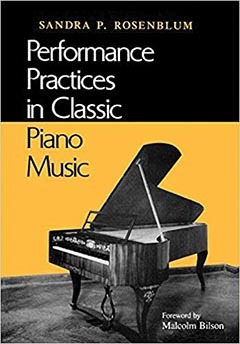 "SYMBOLS THAT SUGGEST INTERPRETATION OF MUSIC FOR THE FORTEPIANO"
Sandra Rosenblum, author of Performance Practices in Classic Piano Music (1988), described as “a monumental achievement; thorough, objective, balanced, and imaginative” (Journal of Musicological Research). It gives a thorough explanation of the notated music of the Classic period, based on treatises and contemporary sources. She has been an inspiring influence on a generation of fortepianists worldwide. More recently her work has been focused on Chopin and the pianos of his time. Her lecture will touch all areas of piano performance relevant to students of the piano works of Haydn, Mozart, Beethoven, Dussek, and contemporaries, illustrated with performances of short excerpts from their works. 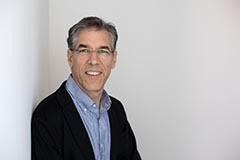 David Breitman directs the Historical Performance Program at Oberlin, teaching fortepiano, clavichord, and performance practice. His discography includes Beethoven’s violin and cello sonatas, Mozart’s violin sonatas, and four vocal CDs with the late Sanford Sylvan, whom he partnered in recital for over 30 years. He is currently working on a book titled Time-Travel for Pianists: How Today’s Players Can Learn from Yesterday’s Instruments. 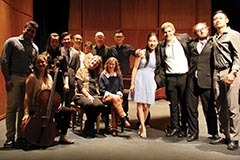 The concert will present the students who will perform a wide variety of piano repertoire and chamber music, followed by a reception to meet students and faculty. This is a very popular performance and seats fill up quickly. We highly recommend that you reserve your seats in advance: click Buy Tickets to reserve your seats today! Come experience the powerful vibrations of Grammy Award Winner Koji Nakamura and OMNY Taiko’s traditional Japanese Taiko drumming. 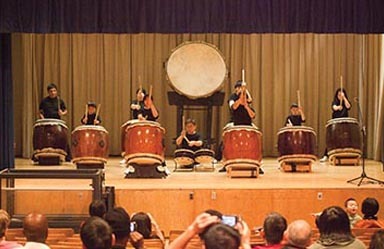 Taiko drumming is a spiritual art. The sound of the Taiko drum is as pure and fundamental as the heartbeat and therefore has the power to cleanse ourselves and our surroundings. Percussion instruments are often the first to be adopted by a culture – it is thought that Taiko drumming may go back as far as 2,000 years! OMNY Taiko’s members come from very diverse backgrounds, but all have a passion for sharing the beauty of Taiko with the world. As OMNY sounds like the prefix “omni” which means “all”, their motto is “We all play as one to unite the hearts of all. National Dance Institute returns this summer to conduct a two-week dance intensive for local children which culminates in a fully-staged performance featuring local students and the NDI Celebration Team of young dancers from New York City. Every year, this popular event draws large crowds. Colorful banners celebrating the theme of each year’s NDI program provide a backdrop for the young dancers. This is a high energy performance that celebrates the creativity of youth in our area. Pianist Shai Wosner has attracted international recognition for his exceptional artistry, musical integrity, and creative insight. His performances of a broad range of repertoire—from Beethoven and Schubert to Legetti and the music of today—reflect a degree of virtuosity and intellectual curiosity that has made him a favorite among audiences and critics. Jennifer Koh is a violinist known for intense, commanding performances, delivered with dazzling virtuosity and technical assurance. She’s a forward-thinking artist dedicated to exploring a broad and eclectic repertoire, while promoting diversity and inclusivity in classical music. She has expanded the contemporary violin repertoire through a wide range of commissioning projects, and has premiered more than 70 works written especially for her. Her quest for the new and unusual, sense of endless curiosity and ability to lead and inspire a host of multidisciplinary collaborators truly set her apart. Manhattan in the Mountains Faculty Concert features a collection of lighter chamber and solo works, some of which are intended to be comical. Peter Schickele, an internationally renowned composer of many humorous works under the pseudonym “P.D.Q. 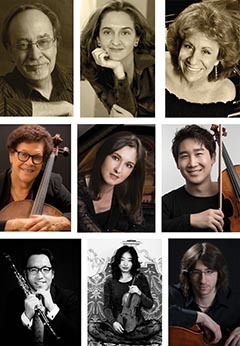 Bach,” will join the faculty concert. Manhattan in the Mountains offers highly personalized, rigorous musical training in solo and chamber music for violinists, violists, cellists, and pianists, ages 13 and up, working under the guidance of an internationally renowned faculty. The festival provides a uniquely individual approach to developing musicianship. Through concerts, open master classes, lecture and other events, the public is invited to join in the process, acknowledging that live performance is an integral aspect of becoming a professional musician. Local children and students of The Catskill Mountain Foundation Dance Program get the opportunity to don gossamer wings and join dancers from the country’s most elite dance programs onstage in Shakespeare’s A Midsummer’s Night Dream. 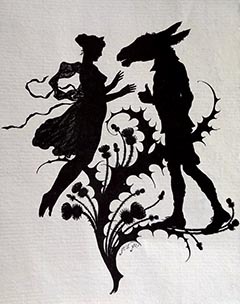 With comedic scenes and narration from Jim Milton’s Kaaterskill Actor’s Theater, charming choreography by Margo Sappington and Eugene Petrov and the magical Mendelssohn score, this unique production, conceived by Victoria Rinaldi, will transport the audience to an enchanted wood to witness what hilarity unfolds when fairies meddle with the love lives of mortals. All ends well with a triple wedding and gala ballet, making the evening a perfect combination of spoken word and dance. "Along with folk and field hollers, Upstate's infectiously sunny organic stew stirs together strands of bluegrass, jazz, blues, Broadway, gospel, soul, and pop." David Gonzalez is a professional storyteller, poet, playwright, musician and public speaker. He is a cultural ambassador for the U.S. State Department, and is the proud recipient of the International Performing Arts for Youth “Lifetime Achievement Award for Sustained Excellence“. Mr. Gonzalez was named a Fellow of the Joseph Campbell Foundation and was nominated for a Drama Desk Award for “Unique Theatrical Experience” for The Frog Bride. Upstate is a group of people dedicated to creating visceral American music with clever rhythms and harmonies. The band’s blend of Americana/Jazz and Soul/Funk make for a unique, body warming sound. The members of Upstate Band live in New York’s beautiful Hudson Valley. In this new stage presentation, for the first time, Philippe invites the audience to follow one of his “secret” private daily practice sessions on the tight rope. 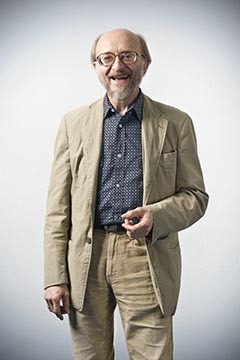 Then, on an apparatus low enough for you to catch his features and the details of his gestures, Philippe prefaces each crossing by explaining why each walk is different, and how these differences create a “progress program” conducive to artistic creativity. He shares stories about the creation of each major walk and shows the evolution of a simple move into a complex choreography, such as the knee balance, and the laying down. Philippe also performs the juggling without balancing pole, the full half turn with the pole sweeping around and the wire walker’s backward somersault. Philippe Petit concludes, on the ground again, with a Q&A. Philippe Petit has written ten books, including To Reach the Clouds, which recounts the adventure of his illegal high wire walk between the twin towers of The World Trade Center. That walk was the subject of the 2009 Academy Award-winning documentary film, Man on Wire, as well as being the basis of The Walk, a 3-D/IMAX feature film directed by Robert Zemeckis, starring Joseph Gordon-Levitt as Philippe. 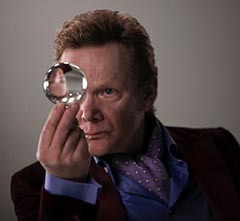 Philippe Petit gives lectures and workshops internationally on a variety of topics. He also practices lock picking and is an expert pickpocket. From People’s Republic of China, Cirque Mei features a company of 40 elite traditional and contemporary circus artists and acrobats. This performance features many award winning Chinese circus routines including Hoops Diving Boys, Bicycle Girls, Umbrellas, Balancing Skills on Ladder and Circus Dance, Flying Meteors, Lion Dance, and some of their most popular acts including Contortion Girls, Balancing High Chairs, and Plates Spinning and Ballet on Shoulders. The troupe was founded in 1976 and supports a community of over 130 circus performers who tour throughout China and the world. Join us on a fun-filled adventure that is truly out of this world! On a special mission to explore a mysterious dark object nearing planet Earth, a rocket ship carrying Astronaut Nick Eastman and his hoverbot Glitch is attacked by a deep space alien. Investigating, Nick is sucked into a time-warp and lands millions of years in Earth's dinosaur-riddled past. Snatched as a pterodactyl snack, Nick escapes only to be warped into a bizarre future where creatures have mutated to survive on a barely recognizable Earth. This heart-pounding marionette extravaganza probes many unexplored and intriguing dimensions of puppetry. See if our time travelers decode the gravity of their situation and save the Earth in the Nick of Time. Puppeteers Dan Baginski and Barbara Paulson have toured America together for over sixteen years. Their traveling stage transforms any space into an intimate theater, where the seamless blend of movement, music and masterful manipulation captivates young and old alike. 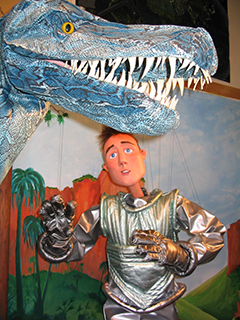 With puppeteers in full view, the audience sees how the puppets are brought to life. These Vermont artisans lovingly hand craft the marionettes, props and scenery, whether for an original tale or an adaptation of a classic. Shows begin with an interactive song featuring audience members, and finish with demonstrations sparked by the audiences' curious questions. Stayin’ Alive offers the songs and sights of a full Bee Gees play list, singing blockbusters such as “Night Fever,” “Jive Talkin,” "How Deep Is Your Love,” “You Should Be Dancing,”, “Nights on Broadway,” and “Stayin’ Alive.” In addition, they perform softer poetic ballads such as “I Started a Joke,” “Massachusetts,” “Fanny Be Tender,” “Words,” and “To Love Somebody,” among other great hits. Stayin’ Alive is the largest and most definitive production of its kind, offering big screen video clips, photos and dazzling imagery. Stayin’ Alive has played intimate settings as a six piece band and huge venues with a 62 piece orchestra. 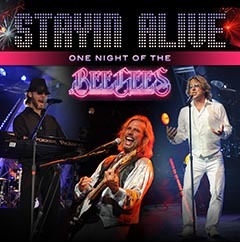 Stayin’ Alive is the quintessential tribute band to the Bee Gees, capturing the excitement of live performance and the tender subtleties of the human voice. "A gorgeous pairing ... the two play with such serene authority that the listener is almost afraid to take a breath ... quietly compelling and deeply felt music." 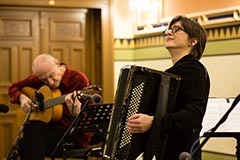 Two celebrated instrumentalists ruminate on their common roots and shared love of traditional Balkan and classical music with original works and arrangements of Erik Satie, Manuel de Falla, and the mournful music of sevdah—sometimes called 'Bosnian blues', and music from Slovenian composer, Davorkin Jenko. 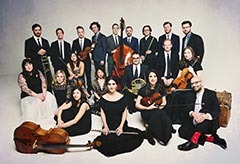 The Knights are a collective of adventurous musicians dedicated to transforming the orchestral experience with vibrant programs rooted in the classical tradition. In this Homage to Bach, The Knights look at a large range of music that was either directly or indirectly influenced by the master, from modernist giants such as Stravinsky, Legeti and Kurtag to American folk/pop icon Paul Simon. Featuring students of Victoria Rinaldi, and local children and adults. Catskill Mountain Foundation, in cooperation with Victoria Rinaldi and Tony-award winning choreographer Margo Sappington, presents the world’s favorite ballet--The Nutcracker--which enchants audiences young and old across the world during the holiday season. 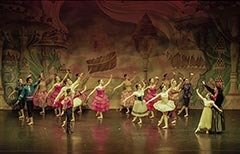 The long tradition of The Nutcracker will draw you into its magical realm, never to be forgotten. In this special production, Victoria Rinaldi will once again work with local children and adults to stage the party scene, the battle, the second act angels and Mother Ginger. Margo Sappington will play the role of Auntie Drosselmeyer.